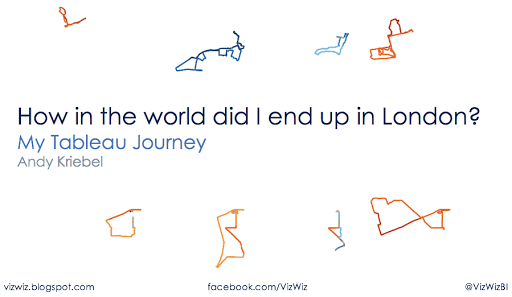 I’m often asked how I got started with Tableau. How did I end up at Facebook? Why did I move to the UK to start the Data School? I gave a presentation at Surrey County Council yesterday about those exact questions, so I thought I’d share it with everyone. I hope you enjoy it! Thank you Andy for posting your slides. Slide 65 (Build a Community) and 76 (Build a Culture Where Everyone is Analyst) spoke to me the most. My organization recognizes the need for both of these things, but we are just getting started. The fact that you were successful with these strategies encourages me a lot. Best wishes. Dave.